"Why is Anne Boleyn so fascinating? Maybe we don't have to go any further than the obvious: The story of her rise and fall is an elementally satisfying- and scriptwise, not very different from- a Lifetime movie: a long-suffering, postmenopausal wife; an unfaithful husband and a clandestine affair with a younger, sexier woman; a moment of glory for the mistress; then lust turned to loathing, plotting, and murder as the cycle comes full circle." Divorced, beheaded, died; divorced, beheaded, survived. It's how you remember what became of the six wives of Henry XIII. That there's even a way to help you remember the love life of a monarch whose reign is 500 years in the past speaks to the enduring cultural relevancy of Henry and his wives. And if you were to ask someone off the street to name you just one of them, I'd put my money on it that they'd name Anne Boleyn. Witch, feminist before her time, seductress, all of the above and more....a lot of people have a lot of opinions about Anne, who she was, and what she did. But who was the "real" Anne Boleyn, and why do we still care? Susan Bordo is a popular culture/gender studies academic, and brings a welcome level of inquiry, research, and critical thought to her examination of the legends that surround Anne Boleyn. Nearly all of Anne's personal correspondence and even official portraiture were destroyed by Henry in the aftermath of her death, so we have to rely almost entirely on secondhand accounts (many of them hostile, like Spanish ambassador Eustace Chapuys) to know much of anything about her at all. This has created a narrative with substantial gaps, which can only be filled by conjecture. The book begins with a walkthrough of what we do and can know with relative certainty about Anne (what she probably looked like, her upbringing in the French court, her move to England and courtship with Henry, her proto-Protestant religious beliefs, her short reign, and the circumstances of her death). It then examines the myths that have sprung up around her, and how they've varied over time. Bordo's research pops up interesting facts, like that the "Anne as headstrong teenager" strain of Anne's mythology only pops up after World War 2, when the concept of teenager-hood was just becoming a thing and audiences were primed by wartime media to be ready for plucky heroines. Bordo is displeased with the popular historical fiction surrounding Anne, and she rakes it over the coals pretty hard. Phillipa Gregory gets an especially high dose of her ire, to an extent which I actually feel is unfair. Gregory has never pretended to be writing scholarly, academic history, and while there are definitely people who probably look at her books and think they're reading something that's been heavily researched for historical accuracy, I have to imagine that most of us understand that she's using outlines of the actual people who were her characters and taking pretty heavy dramatic license with the rest. It's not Gregory's "fault", per se, that her book became enormously popular and is probably most people's go-to reference for Anne Boleyn. Some of her statements imply that she does hold herself out as somewhat of an authority in the era, but at the end of the day, there's a reason her books are filed in the fiction section. Then again, I own and enjoy many of Gregory's books, so maybe I'm just defensive. At the end of the day, if you have an interest in Anne Boleyn that was sparked by the dreaded The Other Boleyn Girl, or Natalie Dormer's incredible portrayal on The Tudors, or Wolf Hall, or anything at all, really, you'll enjoy this book. It's accessible, well-researched, and put together in a way that makes for a really enjoyable reading experience! Tell me, blog friends...do you have a favorite historical figure to read about? I'll be the first to admit that I always prefer reading a hard copy of a book. The feeling of the pages under your fingers, the quality of the reading experience, watching your bookmark move through the pages as you go through the book...it's just a better experience all the way around. So why am I about to shill the Amazon Kindle? I'll tell you why. Convenience: I'll say it again, I've got over 200 books on the Kindle. 200! I'm sure anyone reading this knows how much space 200 books takes up. If not, it's a lot. It's a lot of space. It's multiple bookshelves. As an apartment-dwelling person, I lack the space to deal with another 200 books on top of the ones that are already spilling out all over the place. And when you travel? Even better! Instead of trying to jam three books into a suitcase for a vacation, I can just slide my Kindle into my purse. Boom. Done. Plus, there's Kindle apps for your phone, for your laptop, for your tablet, so your Kindle books are wherever you are! Cost: The upfront investment is steep, I grant you. The least expensive Kindle is $79, and depending on options (some have ads that display when you're not reading, which are less expensive, and some have 3G wireless as well as WiFi, which is more expensive), they can go up to over $200. But once you make that initial investment, there are monthly sales of Kindle books for $3.99 or less, as well as Kindle Daily Deals offering a few books each day in the same price range. With the exception of some Christmas shopping for myself with an Amazon gift card, I haven't paid more than $3.99 for a book on the Kindle in years. Assuming $4/pop, that's 25 books for $100. For new hard copies, that's more like 5-6 books for $100. Also, like I mentioned with the Kindle I currently own, they last for a long time. I haven't been kind to mine (it's spent a lot of time in the bathroom while the shower is running over the years), and while I have to imagine it's approaching the end of its usable life, it's not done yet! Tell me, blog friends...do you use an e-reader? As a pretty new member of the book blog world, I've been looking for ways to make connections with the other book bloggers out there, whose work I read and enjoy and admire. 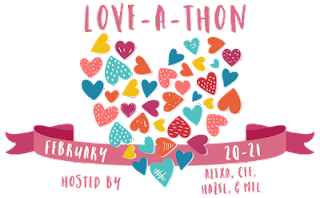 So when I found out about the 2016 Book Blogger Love-A-Thon, I knew I really wanted to be a part of it. And the first thing to do is a questionnaire to help you get to know me a little better. 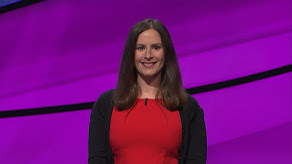 If you've ever been curious about the lady behind 500 Books, here are some answers! How did you get into blogging in the first place: When setting some goals for my 30s, I decided I wanted to read 500 books. But half the fun is being able to talk about them, and so to give myself a space to do that and to keep myself on track with my reading goals, I started the blog! How did you come up with your blog name: Like I said above, I set my goal at 500 books. Since my pace has been about 50 books per year the last few years, multiply that by ten years and you have...500 Books! What genre do you read and review the most on your blog: So far, it looks like literary fiction and non-fiction are big winners. But I think my reading as of late is a little non-fiction heavier than my normal reading pattern. I'd say we're most likely to end up with adult fiction as my most-read genre. What other types of posts do you do on your blog, apart from reviews: I've done some lists (of favorites and not-favorites), and I've got posts planned about My Reading Life (local bookstores, how I get my books, etc) and a Dreamcasting series I really want to do (I love watching movies). Best blogging experience so far: Seeing people that I wouldn't have expected to have any interest in my reading liking and commenting on my posts on facebook...it's silly, but it's really neat to have another way to connect with people I might not have seen or heard from in a while. Favorite thing about the blogging community: I really enjoy getting to see how and what other people read and picking up recommendations of books I might not have considered without prompting. Name the 5 books you’re most excited for this 2016: The Queen of the Night is already out, but I haven't read it yet and it released in 2016, so it counts. I'm also looking forward to The Girls, The Gilded Years, Sweetbitter, and Private Citizens. Name the 5 books you want to read this 2016 that you didn’t get to in previous years: So many! My TBR pile is a problem. But I'm looking forward especially (and am on schedule to read): American Gods, Yes Please, We Need To Talk About Kevin, Devil In The White City, and The Group. Which book boy or girl would be your book BFF? Vianne Rocher from Chocolat makes good chocolate, which would make her a compelling choice even without the rest of how great she is. Which book boy or girl would be your book boyfriend/girlfriend? I fell a little bit in love with Tristran from Stardust when I read it, even more when adorable Charlie Cox played him in the movie adaptation. Who would you recruit for your apocalypse squad (5 characters max): Katniss Everdeen because she'd save my life with her skillz, Daenerys Targaryen because dragons, Harry Potter because magic, Aragorn because general badassery, Sabriel because she'd be able to come find me in Death if I ever died. Apart from reading, what are your other hobbies or interests: I really like watching movies, hanging out with my fiance and dog, and pole dancing! Apart from book shopping, what else do you like shopping for? Dresses! I have spent an ungodly sum of money at Modcloth on pretty dresses and it's all well-spent. At a party, the DJ suddenly changes the song – and it’s your song. What song would be playing? This seems like it calls for a party song, so I'm going to go with "Got To Give It Up" by Marvin Gaye. Otherwise, the Ryan Adams cover of "Wonderwall" hits me right in the feels. Pick out either a book you want turned into a film/TV show, or a film/TV show you want turned into a book. I'd love to read The Jinx in the hands of a talented true crime author. That show haunted me. What would your dream library look like? I grew up in the Disney classic era, so the library that Belle gets from the Beast is pretty much the end all be all. Author you want to meet and sit down to tea with? Going for the cheesy, obvious choice, but JK Rowling. I just love her and feel like she would be a wonderful person to chat with for an hour or so. Most of which would be taken up with me thanking her for writing Harry Potter. "After the US-Dakota War of 1862, a US military commission tried 392 Dakota men and boys in seven weeks and sentenced 303 to death, although President Lincoln reduced the number to 39. In Mankato, Minnesota, the army arrayed the prisoners in rows on a custom-built scaffold, with identical white muslin hoods muffling their faces. The victims, who'd had no lawyers and were prohibited from speaking in their own defense during the trials (which were in English, anyway), sang through their hoods. They were hanged all at once, before 4,000 witnesses. It was the largest mass execution in US history." When Trayvon Martin was shot, there was a movement to blame what he was wearing (a hooded sweatshirt) for his death. A young black man should apparently know better than to wear a hoodie out and about in public. Never mind that Trayvon was a 17 year-old kid who was threatening only to the Skittles he was carrying with him, never mind that Trayvon was a human being who should have been able to wear whatever the damn hell he pleased while going about his own business. A hooded sweatshirt, obscuring his face, made him scary. Made him responsible, somehow, for his own cold-blooded murder. Obviously that's ridiculous (if you disagree, you should feel free to take your pageviews elsewhere...this blog and blogger are probably not going to be for you). But the hood has been a potent symbol for centuries, and this book examines the cultural history of hoods. Who wears them, and why? What do they mean? Author Alison Kinney traverses a wide history and a variety of contexts to explain the role of the hood; from state-sanctioned execution and terrorism like the Inquisition, the Klan, and Abu Ghraib, to protesters, fairy tales, and all the way down to college students to show how the hood is used by both the powerful and on the powerless to signify the roles they play. The first two sections, which focus on the death penalty and terrorism, are the strongest ones to me, the most cohesive. The rest of the book is more loosely organized and lacks the kind of narrative focus and drive that makes the first two sections compelling. It's interesting to focus in on one object this way, to think about how its meanings have changed through time. And this book is one of series (other entries include the remote control, drones, etc), but honestly this is the only one that sparked my curiosity enough to pick up. Kinney has clearly done her research...she illustrates how not only has the use of the hood changed over the course of history, but how there have been latter-day distortions of past use of the hood (which she refers to as "shaggy medievalism") to serve the purposes of those who use it in their own time. It's a quick and engaging read, especially if you're inclined to enjoy thinking about privilege and abuse of power. Tell me, blog friends, what object would you enjoy reading a cultural history of? "Contrast to this emphatically social emphasis the Indian idea that the ultimate realization of truth is to be experienced alone, in yoga, in the forest; the Chinese, that a accord is to be experienced with the Tao, the Way of nature and the universe, which is the Way of one's heart, as well. In the Book of Moses, on the contrary, the way of God, who is transcendent, is either within nor in nature, but in the group- this group alone, with its laws, which are the only facts of real moment to be known." Perhaps I'm just getting more used to Joseph Campbell's writing style, perhaps it's just that The Masks of God has shifted to a religious tradition with which I am very familiar (not only the Judeo-Christian belief system I was raised in, but the Greek and Roman mythology that I've loved since I was a child), but for me, Occidental Mythology was the most accessible volume of this set for me so far. In this third volume, Campbell talks about the mythology of the so-called Western World: Greek myth, Roman myth, ancient Arab/Hebrew myth, Zoroastrianism, Judaism, Christianity, and Islam. Like in the previous volume on Oriental mythology, I'm side-eyeing this category fraud a little: Middle Eastern myth of the ancient world is much more closely related to Egyptian mythology than the Jewish religion that eventually developed, but he clearly doesn't want to break it up like that because it doesn't fit his thesis. But even with nonfiction, you have to accept that you're on the road the author is taking you on, even if you think you know a better route. His Western bias isn't as obvious as it has been previously until the conclusion chapter at the very end...maybe he feels less of a need to editorialize on home turf, but he doesn't shy away from criticism of this tradition either. He points out factual and logical inconsistencies within texts like the Bible, and reminds the reader that their holy books were often written long after the facts alleged therein had taken place (or not actually taken place, as the case may be). He also touches on internal conflicts and differing interpretations, and the power struggles that went on behind what we today would consider long-settled matters. Even through his bias, he treats all world mythology (including the Judeo-Christian tradition) as, well, mythology, reminding us in the Western World that our dominant religious belief system is, at its heart, the myths of a nomadic tribe of desert sheepherders. I won't pretend that I'm not happy that I'm almost done with this set. While it's been interesting and sometimes illuminating reading, it is, like I've said already with the other volumes, very dense and challenging to read as a pleasure exercise. Tell me, blog friends: Have you ever thought of your own religious beliefs as mythology? Like I mentioned a little while back, apart from my bookworm tendencies, I'm also a big fan of movies. I remember watching the Sean Penn movie version of this novel and (like many critics for what was supposed to be an awards-bait picture) walking away deeply unimpressed. I didn't even really remember the plot of the story, except that the main character was supposedly based on former Governor of Louisiana Huey Long and that it was "about" political corruption. As it turns out, the actual novel is only partially about political corruption. Politics is mostly a framing device for the real story. The meat of the book is about how actions have consequences, and that there's no getting around that. Reporter-turned-political-staffer-type Jack Burden (it's hard to describe what it actually is he does for Willie Stark, the Huey Long analogue referenced above, and don't think for a second that surname isn't symbolic) burned out of his Ph.D. program when he uncovered a story that made the consequences of heedless actions too real, and tries to hide behind inaction to save him from having to deal with that kind of responsibility. His work for Stark means that he mostly doesn't have to make decisions, until it intersects with his personal life in a way that starts forcing him to do just that and refusing to let him slip quietly away from the results. That central conceit, though, isn't really clear until you get about halfway through with the story. The first part of the story feels very much like a standard issue dramatic story about yes, politics and corruption. We learn the story of Willie Stark, how he made it from a bumpkin, to a young political appointee fighting a shady, kickback-laden county contract, to a stooge goaded into running for Governor by people using him for their own purposes, to a morally questionable Governor himself. That part of the novel is interesting and easily digestible enough, but the real power of it comes from the later, more philosophical part that shifts Stark's story into the background and brings Jack's story up front. The storyline wrangling and plot development is masterful, but where the real beauty of this book is are the words. Robert Penn Warren won the Pulitzer Prize for this novel, but he also won one for poetry, and you can tell. Picking out a highlight quote was torture...I read this on the Kindle and digitally underlined about half the book because I was so in love with the language. It's a page turner, but not in a suspenseful kind of way. You just want to keep reading it to keep basking in the glory of the writing. I was sad to put it down when it was over. Tell me, blog friends: what politically-themed books or movies float your boat?